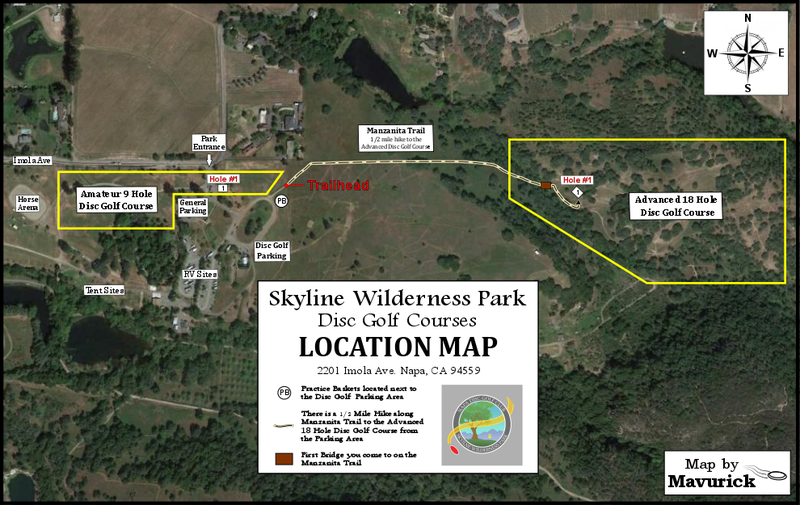 Half mile hike from the parking lot to disc golf through this 900 acre park. Lots of trees and the hillside terrain often leads to roll aways. Hiking shoes recommended. Navigation is difficult - bring the map (under Course Media here - also available at park entrance). Less fun in the heat and high grass of the summer. No dogs allowed. Fee; $6/day. To ensure the course is open after heavy rains call (707) 252-0481. *Oct 2017 - a small section burned in the fire. Hwy 29 north to Imola Ave., east to park. Firstly, only a small section of this course was involved in a fire. Jeans and sturdy shoes are a must for this course. I played May 2018 - The grasses were high, wildflowers, critters and bugs were abundant. I'd rule out playing here in the summer heat and the winter rain and fog. Spring and fall would be perfect. 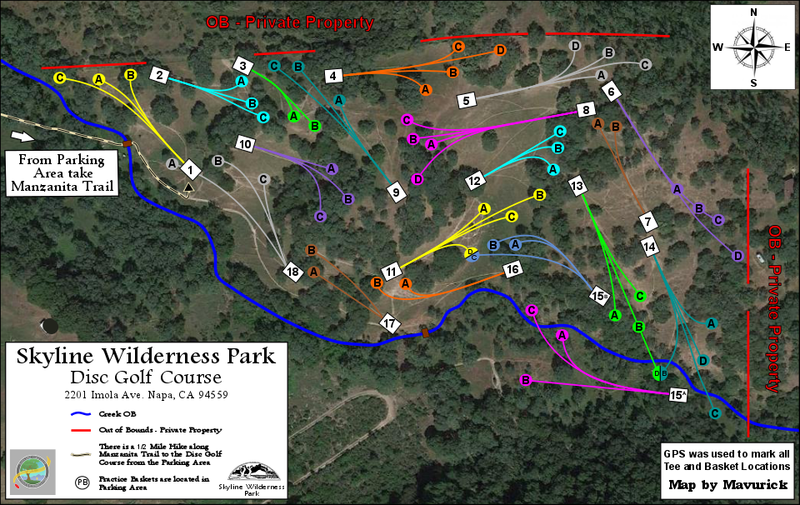 I love the layout of this course - challenging and frustrating, but oh so worth the visit. Highly recommended! I've enjoyed the challenge both times I've played this steep, tree covered course. Course is beautiful and well maintained. Hills can get you in trouble, spotters are handy on multiple holes. Definitely get a good days hike, starting with a half mile trek from the parking lot. Bring water! In a word: "brutal." I happened to play the course on a 90 degree day last week and did not bring an adequate amount of water (plus was sunburned already from the previous day). But the length of the course combined with the elevation changes made this a real struggle. As a player you're basically going to be walking up and down big hills all day. I liked the course though because it was so challenging (probably the toughest I've ever played); I mostly wish I had chosen a different day to play it. I have a lot of respect for this course as a worthy adversary. This is a great course in a great location. You very much feel like a billy goat, since most of the putting greens have some sort of slope to them. Be cautious all shots had a tendency to roll, even the gentle ones that caught an edge. Pretty easy to follow and the locals seemed very nice. The only cons were $5 entry and a ten minute hike to and from the parking area. Definitely yearn to go back after you have played the first time. A must hit course for any level player. 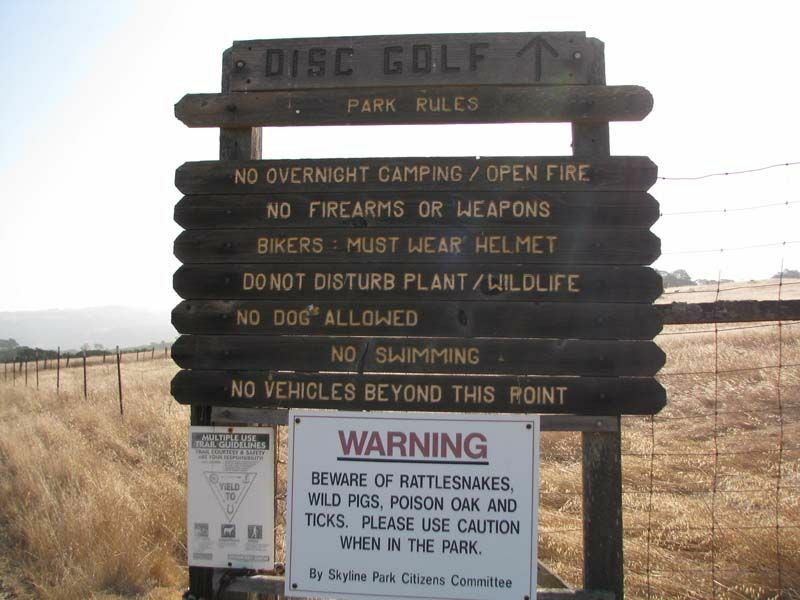 Disc golf cart not recommended. Too hilly and would probably struggle most of the day with it. A fun challenging course with lots of variety to keep you interested. Wear jeans and good shoes because there's some rough terrain you'll be hiking in. Fantastic views of the Napa Valley on some holes. 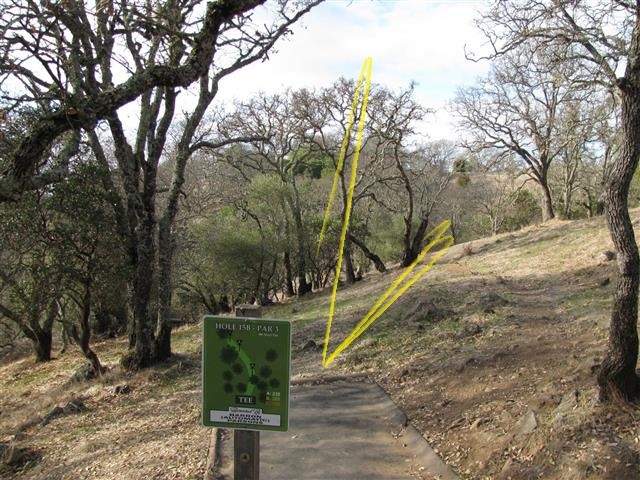 It gets a 4 out of 5 because it's kind of hard to find: it requires a 5-10 minute hike to get to hole 1. Also, hole 1 is awkward and isn't laid out very well.